The General Committee has been working hard on a number of ways in which we hope to change the way the DDA operates. Our aim is for the changes, when and if introduced, to bring the DDA into the 21st century and make it more meaningful for today’s ringing fraternity. Improving ringer retention, improving the appeal of ringing to younger people, improving recruitment into ringing, ensuring good communication with the church, who own the vast majority of the bells that we ring, and improving the profile of ringing within the public domain. To facilitate these initiatives small working parties were set up from the General committee and I am pleased to report that they are already both coming up with good ideas and in some cases implementing them. We also agreed to update our website, and if you are reading this, hopefully you will agree that we have made very good progress in this as well, but there are still things we are working on within the website. These are some of the highlights already from the work of these groups. 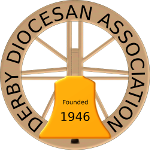 The Clergy conference this November will include a session with our Wombel to both demonstrate and encourage clergy with a hands on experience and/or demonstrations of ringing. We will be looking for volunteers to help with this nearer the time. We are also working on suitable publicity material to augment this experience for the clergy. Our PR Officer is assisting in this area. The group looking at improving the public profile of ringing have had some of their suggestions picked up already by the Central Council and have some very high profile ideas in the pipeline. I’ll not steal their thunder by publishing them now, but look out for some innovative ways to publicise ringing within the community. The publicity group are also looking at producing a logo for ringers and this initiative again has been picked up by the Central Council and may be adopted globally as the recognised generic ringing emblem. Watch this space. You will probably be aware that the Central Council has agreed to a root and branch reorganisation of how it operates. Similarly we have another group considering how the DDA might change it’s structure to better serve you the membership into the future. This would be a major undertaking and we will not enter it lightly, neither will we make any change without your backing. Indeed we will only make changes, if any, once we have considered your opinions on how we should operate and what changes you would look for. This group are currently working on how to gather the widest possible input of opinions and you will shortly be consulted on this very subject. Finally for now one of the things we would like to do is to register as many of you as possible on this website. To do this, if you have not already done so, click ‘Login/Register’ on the top tool bar. You will be presented with a form, enter an email address and create a password which you will then be able to use to reach parts of the site that will be available only to DDA members and also to receive communications on events directly to the email address you supply. This email address will never be published anywhere and will only be used to communicate directly with you. I will bring you updates on progress as often as there is something meaningful to report, thank you for reading this.